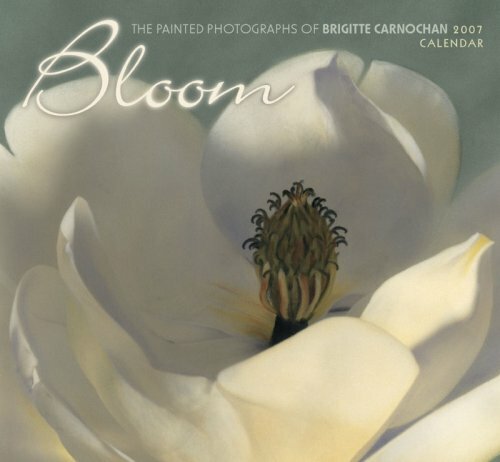 Brigitte Carnochan did not study photography seriously until 1990, when she enrolled in a course on darkroom technique at the local community college. As this calendar’s images make clear, her work thus far has been nothing short of extraordinary. Delicately applying oil paints with cotton swabs, Carnochan adds colors and effects to selected photographs, relying more on intuition and imagination than on the pursuit of realism. Her poetic images evoke the world of dreams and celebrate the beauty of natural forms; sensual and subtle, her photographs capture the scented essence of the flower.